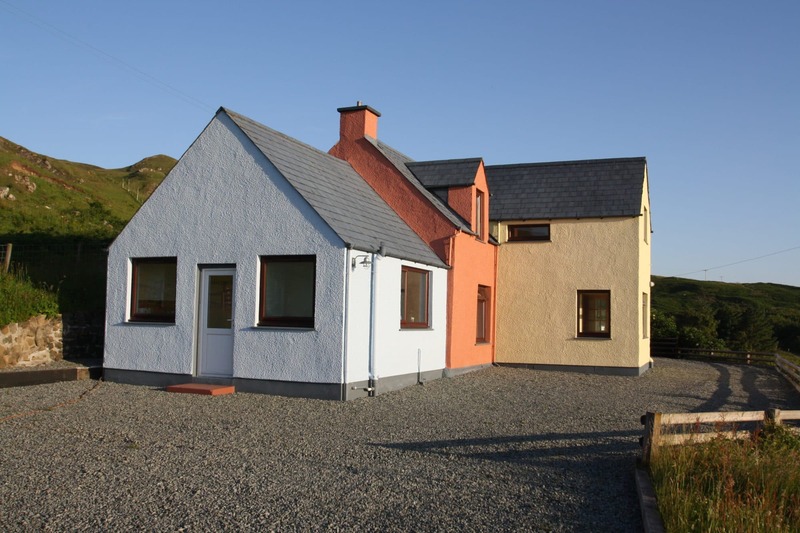 Sealladh Altavaig, 3 Flodigarry is an impressive three bedroom extended traditional croft house occupying an elevated position with spectacular sea and mountain views in the picturesque township of Flodigarry. 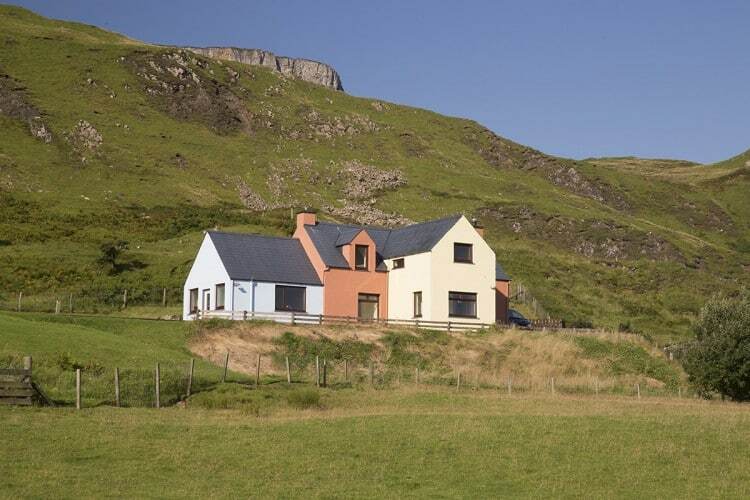 Sealladh Altavaig, 3 Flodigarry is a substantial detached property occupying an enviable positioned nestled at the foot of the Quiraing and boasting panoramic sea views over Flodigarry Island towards the Mainland and the mountains of Torridon in the distance. 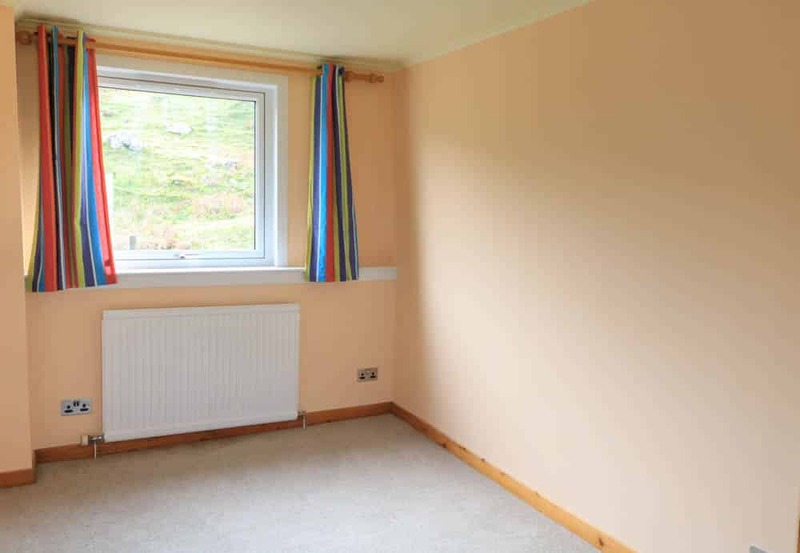 The property has recently been upgraded to a high standard with new kitchen and appliances, bathroom suite, gas boiler and re-wired throughout. The property is presented in walk-in condition offering impressive family home in a breathtaking setting. 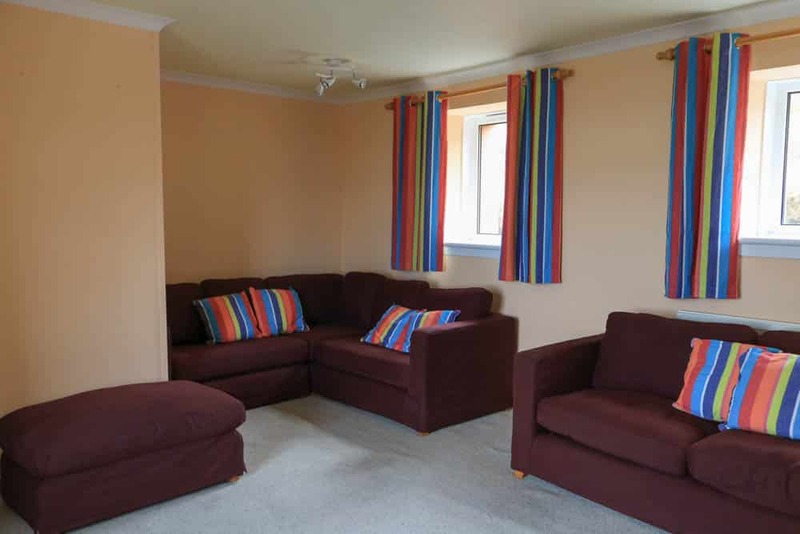 The well-proportioned accommodation within comprises of three bedrooms, utility room, cloakroom, newly fitted kitchen, dining room, spacious lounge with gas fire, welcoming entrance hall, sun room and family bathroom. The property further benefits from LPG gas central heating, double glazing throughout and large agricultural outbuilding all set within neat garden grounds. Externally there is a well-maintained garden with gravel driveway providing ample parking for several cars. The large agricultural outbuilding provides external storage and offers the potential for conversion into additional accommodation with services already on site. 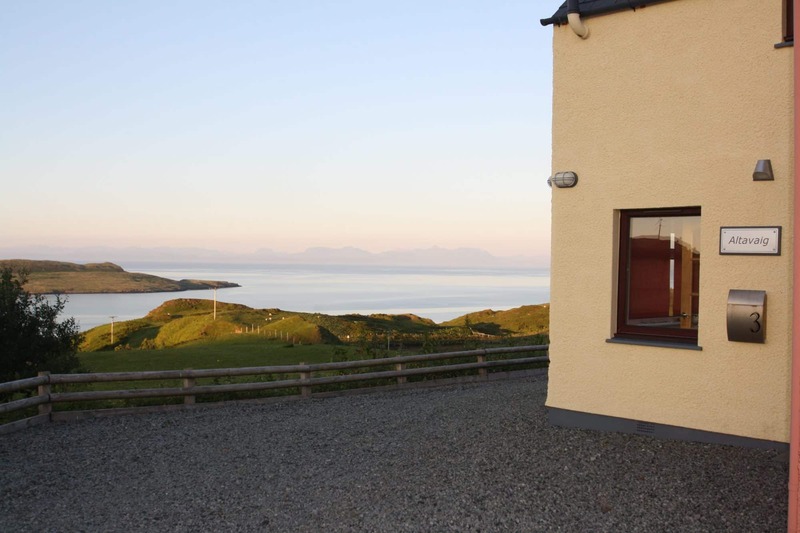 Sealladh Altavaig will make a lovely home and viewing is highly recommended to fully appreciate the setting and views on offer. Fully glazed external door leads into welcoming hallway providing access to sun room and inner hallway with carpeted stairs and wooden banister leading to upper level. Large under stairs storage cupboard. Laminate flooring. Painted. Inner hallway providing access to the lounge and dining room with opening through to entrance hall. Large built in storage cupboards. Laminate flooring. Painted. 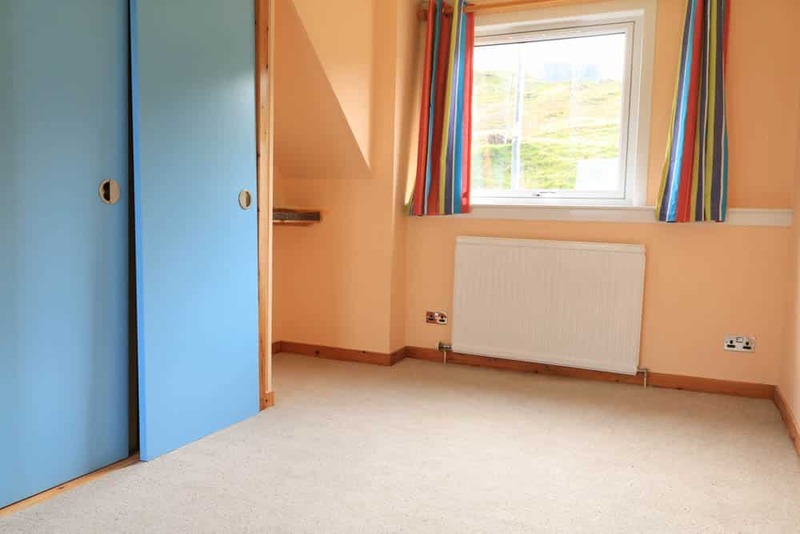 Bright triple aspect room with windows to the front and sides boasting sea views. Carpeted. Neutral decor. 18 pane glass door leading to entrance hall. 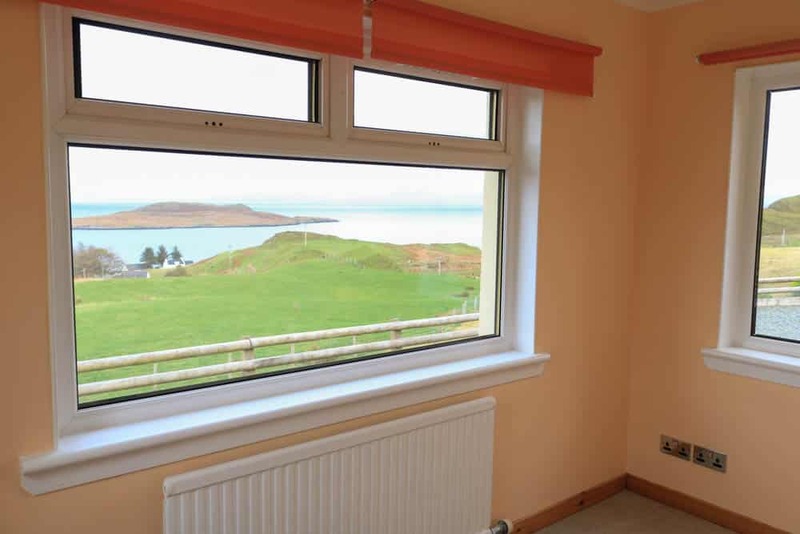 Spacious dual aspect lounge with windows to the front and rear boasting stunning sea views across to Flodigarry Island. 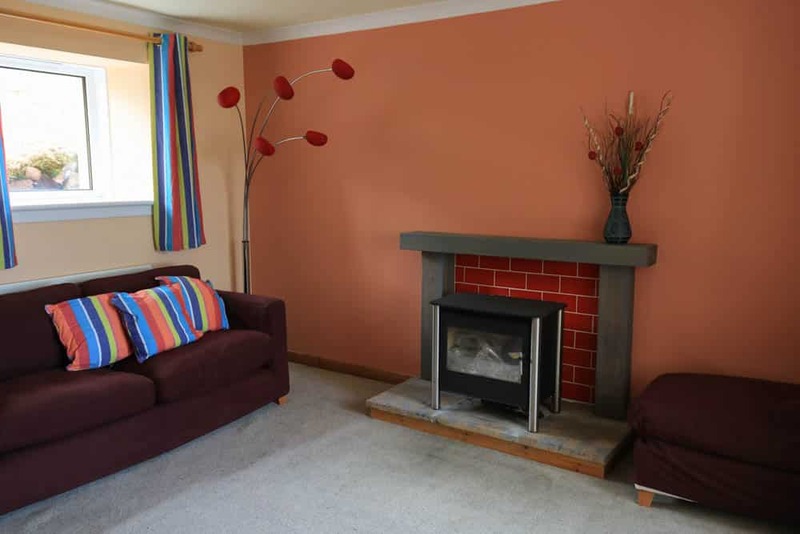 Feature fire place with gas fire, stone hearth and wooden mantle. Deep window sills. Accessed via 18 pane glass door. Painted. Carpeted. 17’00 x 13’00 (5.19m x 3.99m) at max. 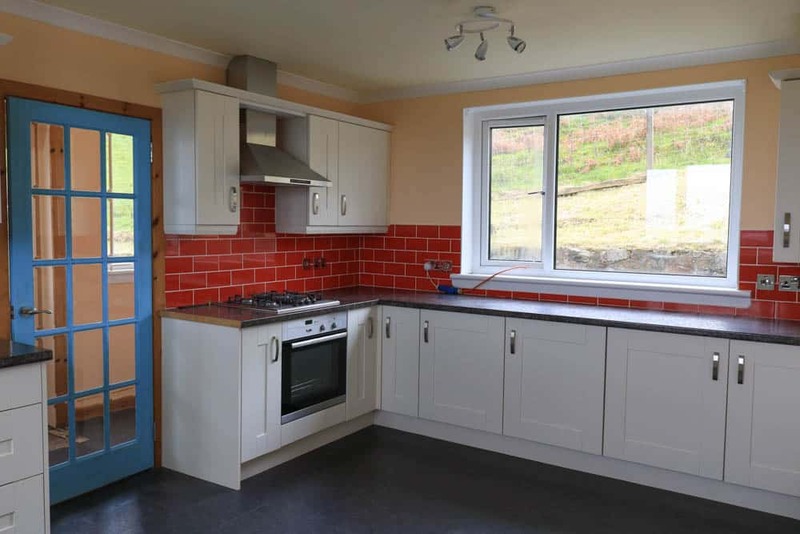 Lovely dining area with window to the front providing sea views across to Flodigarry Island. Deep window sills. 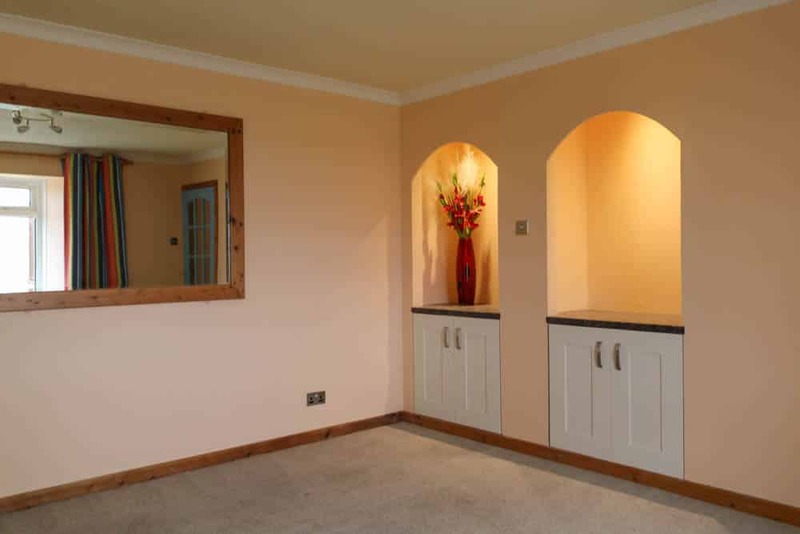 Two feature alcoves with lights and storage. Painted. Carpeted with partial laminate flooring. 18 pane glass door off to kitchen and inner hall. 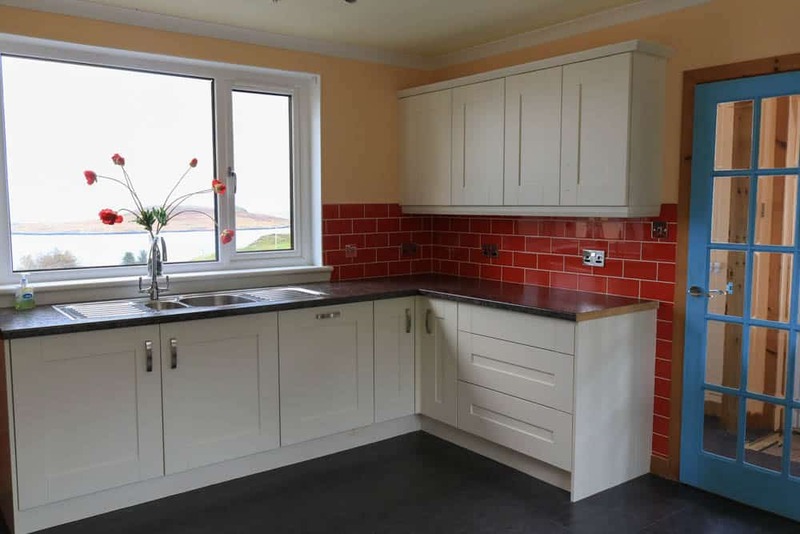 Newly fitted kitchen/diner with ample wall and base units and contrasting work tops. Integrated electric oven with gas hob, dishwasher and fridge freezer. Dual aspect room with windows to the front and rear allowing natural light to flood the room and enjoy the sea views on offer. Stainless steel 1 ½ sink and drainer with tile splash back. Cupboard housing new gas boiler. Laminate flooring. Painted. 18 Pane glass doors off to utility room and dining room. Good sized utility room with space for white goods and worktop over. Tile splash back. Window to side. Space for white goods. Cupboard housing newly upgraded consumer unit. Door off to cloakroom. 18 pane glass door to kitchen. Half glazed UPVC door provides access to garden. Loft access. Laminate flooring. Painted. Cloakroom comprising of W.C and wash hand basin. Frosted window to side. Chrome heated towel rail. Electric fan heater. Painted. Laminate flooring. 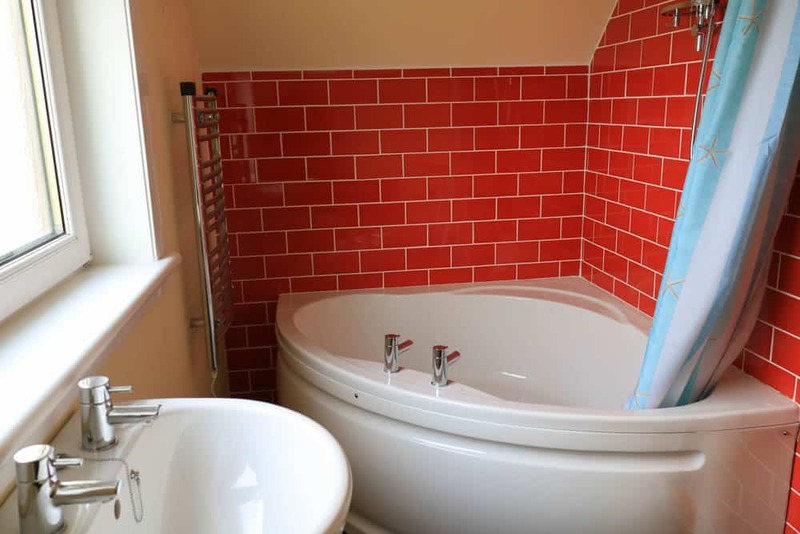 landing affording access to three bedrooms and family bathroom. Dual aspect with windows to the side. Large built in storage cupboard. Carpeted. Painted. 13’10 x 10’10 (4.24m x 3.32m) at max. 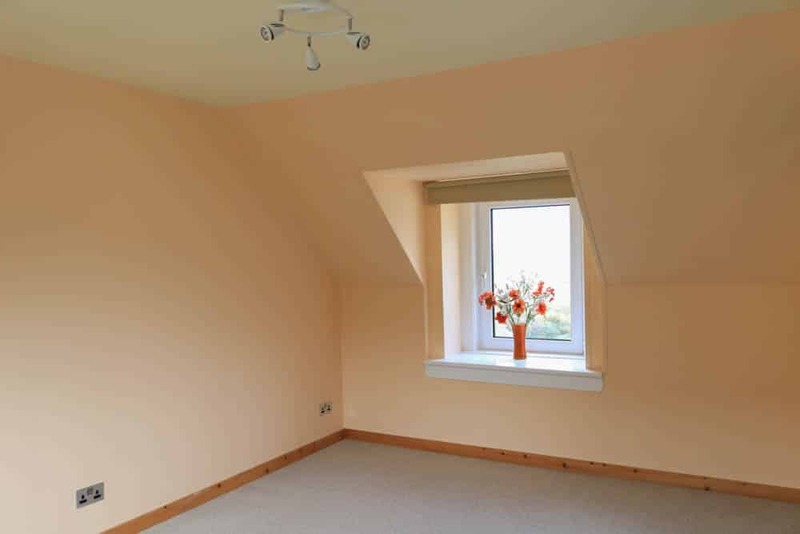 Generous master bedroom with windows to the front and rear boasting sea views. Built in wardrobes. Carpeted. Painted. 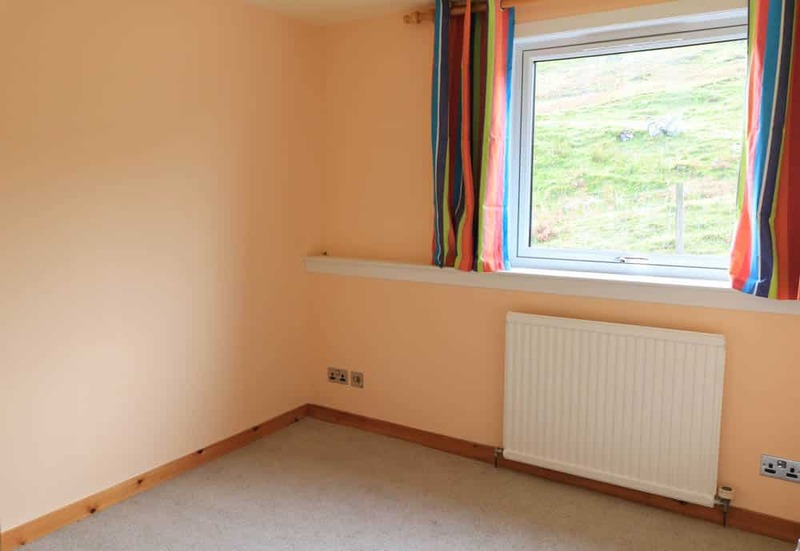 Single/Twin bedroom with window to rear with views to the Quiraing. Built in wardrobes. Carpeted. Painted. 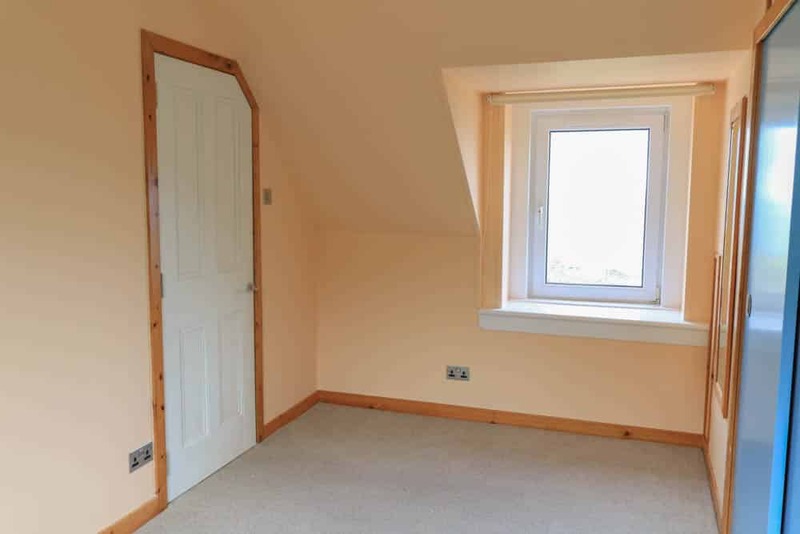 Dual aspect double bedroom with windows to the front and rear offering sea views. Built in wardrobes housing hot water tank. Carpeted. Painted. 14’09 x 9’08 (4.50m x 2.96m) at max. 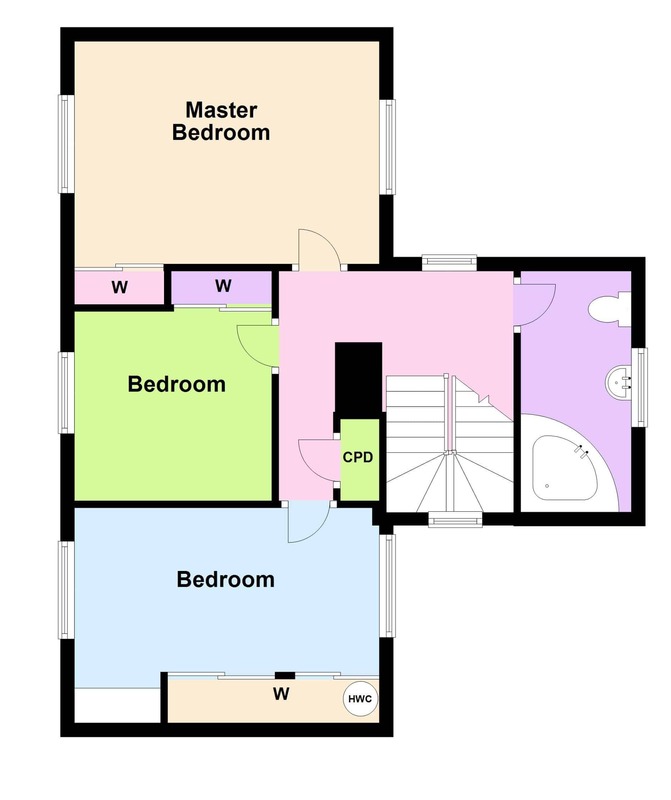 Newly fitted white 3 piece suite comprising W.C, sink and corner bath with electric shower over. Tile splash back. Frosted window to the front. Chrome heated towel rail. Painted. Laminate flooring. Large agricultural outbuilding with water and electricity connected. Offers the potential to be converted into a self contained annex subject to the relevant planning consents. Concrete flooring. The property is set within generous well kept garden grounds and is positioned to take advantage of the magnificent views on offer. The gravel driveway provides ample parking for several cars. Flodigarry is a small crofting township within the Staffin area on the North East side of the Trotternish peninsula. The property is located a few minutes from Flodigarry Country House Hotel. Staffin has a small range of services including two grocery stores, post office, community centre with cafe/restaurant/gym, Columba 1400 centre with cafe and a primary school. Head North from Portree on the A855 towards Staffin. Continue through Staffin and carry on until you see a signpost for Flodigarry. Take the junction on your right hand side, just prior to Flodigarry Country House Hotel with the post box on the right. Altavaig is at the end of the second driveway on your right hand side. 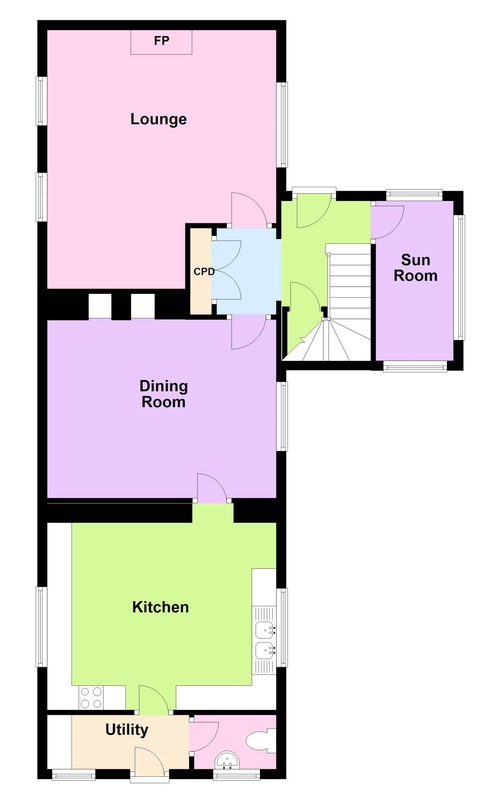 Ground Floor: Entrance Hall, Sun Room, Inner Hall, Lounge, Dining Room, Kitchen, Utility Room and Cloakroom. First Floor: Landing, Bathroom and Three Bedrooms. Mains water and electricity. Drainage to septic tank. 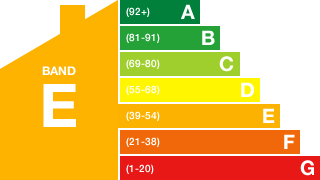 LPG Gas central heating. Offers over £299995 are invited and such offers should be submitted in proper Scottish legal terms to The Isle of Skye Estate Agency.